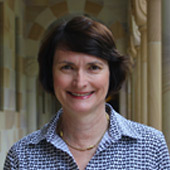 Annemaree Carroll is Associate Dean (Research) in the Faculty of the Humanities and Social Sciences and Professor in the School of Education at The University of Queensland. 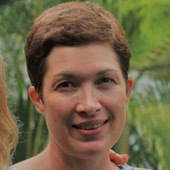 She is Chief Investigator and Co-ordinator of Translational Outcomes within the Australian Research Council Science of Learning Research Centre (SLRC). Annemaree is a registered psychologist and teacher. Her research activities focus on understanding the impact of emotions, attention, and behaviour on learning throughout child and adolescent development, developing innovative self-regulatory interventions for children (KooLKIDS) and youth (Mindfields) to bring about positive change in their lives, and implementing strategies that can be translated into educational outcomes. 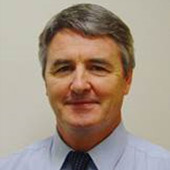 Stephen Houghton is Professor in the Graduate School of Education at the University of Western Australia. His research activities focus on childhood and adolescent psychopathology in relation to developmental trajectories to delinquency and antisocial behaviour, affective and interpersonal traits, and the mediating effects of self-regulation. Over the past 10 years he has conducted research examining the construct of juvenile psychopathy and the development of antisocial behaviour, particularly in relation to young persons with few or no friends who become involved in antisocial behaviour. Professor Houghton is a registered psychologist with extensive knowledge and experience of children with neurodevelopmental disorders, and impulse control disorders in both practice and research, and is sought regularly as an expert by the media. He has published widely in internationally refereed journals, has successfully attracted numerous externally competitive research grants, and regularly presents at leading international conferences. 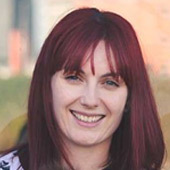 Emma Sanders (BAHons, Psychology, MClinPsych) is a registered Clinical Psychologist with extensive experience working with young people and their families in a variety of research and clinical settings. She is passionate about positive interventions that improve the wellbeing of children, parents and teachers. She has been involved with the development and evaluation of the KooLKIDS programs since their conception. 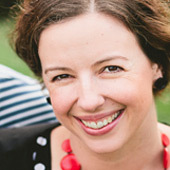 Dr Sasha Lynn is a registered psychologist, who has extensive clinical and research experience in working with, and advocating for youth. Sasha has worked in a range of government and non-government organizations, and in private practice assisting children, adolescents, adults and families with a range of emotional and behavioural difficulties. In addition, Sasha has spent years researching social emotional behavioural difficulties, and developing interventions to support the enhancement of social emotional skills and resilience in children and adolescents in school. She is currently working both with Brisbane Catholic Education, in a counselling position, and at The University of Queensland, in a research capacity, and has first-hand experience supporting at-risk students. Alex is a research officer with the KooLKIDS Program. In 2003, Alex began her career as a primary school teacher and enjoyed working at several schools throughout Queensland. During her time working as a teacher Alex worked with many wonderful students some of who had trouble managing their behavior in the classroom. This led her to develop an understanding that teaching explicit social and emotional skills could help these students manage their emotions and reach their full potential. This sparked an interest in social and emotional learning in the classroom and a move to the KooLKIDS team.